One aspect of the wedding you will want to think about early during your planning process is the type of music to book for each part of your big day. This is especially important if you have your heart set on a specific performer. If they are in high demand, you'll likely need to book early. One of the decisions many brides struggle with is whether to have live musicians for the ceremony and whether to hire a DJ or a live band for the reception. It doesn't have to be "either-or" when it comes to the choice between a DJ, live music, or recorded music. 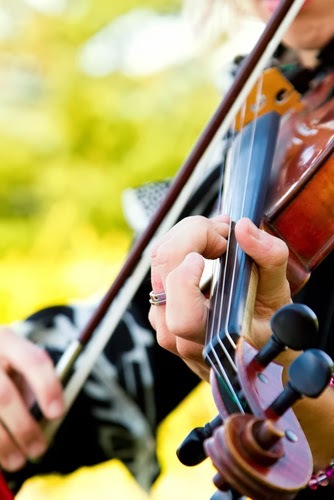 If your budget allows, you may opt to have different music styles and performers for different parts of the event. Find out if live entertainment is allowed. Before you put deposits down on any type of entertainment, be sure to check with your ceremony venue, your reception venue, and and your officiant. Some have restrictions on live entertainment. Since most of the time deposits are non-refundable, you'll want to know this ahead of time. Find out if there are restrictions on the type of music that can be played. Churches and other houses of worship may have restrictions on what type of music may be played and who can play it. Verify these details up front so you can plan smart. Consider the size of each venue. The space available in your venue should also serve as a guide. If it is a small venue, a multi-piece live band may over-power the room. Similarly you may not want a string quartet in a large space, as the music can be consumed by the crowd noise. Ask about the sound system. Guests need to be able hear the music, but they also need to be able to hear the Master of Ceremonies. If the system is inadequate find out if you are allowed to bring in equipment. If you are planning an outdoor event, check into logistics. Find out if their are any noise ordinances in the area. Also check to make sure electrical outlets are available. Mix it up. It is appropriate to have different types of music at different points during the celebration. For the cocktail hour or time in between the ceremony and reception a single musician or quartet may provide nice background music. You can then switch to a live band or DJ for the reception. Use technology to your favor. If budget is an issue, consider using your MP3 player or Ipod with the sound system to provide the background music during the pre-ceremony and ceremony, then focus your dollars for a DJ or live band during the reception. Conduct multiple interviews. You only get one shot at your wedding, so make sure you interview musicians, bands and DJs to ensure they are a good fit. After your initial interview with the entertainment you may want to do an onsite visit and listen to them play live before booking them. 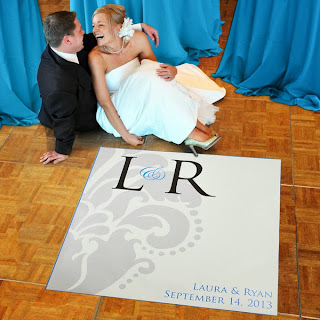 Be sure to ask for referrals and testimonials from recent brides, as well. When speaking with your reception entertainment, be sure to ask if they perform the Master of Ceremony duties. This includes introducing the wedding party, the first dances, the cake cutting, and keeping the reception festivities moving on schedule. Most wedding DJs do provide this service, but never assume. Follow these tips to help make your planning process go smoothly when it comes to securing live music for your ceremony, as well as your reception DJ or band. Knowing what to ask and what to expect BEFORE putting down a deposit and booking the entertainment is key to a stress-free and seamless wedding.